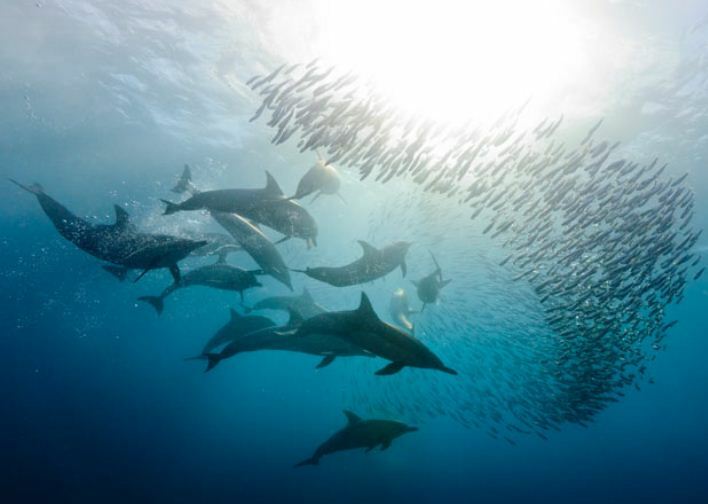 Inspiration for the new study, published in the latest Proceedings of the Royal Society A, came after lead author Tim Leighton watched an episode of the Discovery Channel’s “Blue Planet” series and saw dolphins blowing multiple tiny bubbles around prey as they hunted. “I immediately got hooked, because I knew that no man-made sonar would be able to operate in such bubble water,” explained Leighton, a professor of ultrasonics and underwater acoustics at the University of Southampton, where he is also an associate dean. Dolphins – Second Smartest Animal? “These dolphins were either ‘blinding’ their most spectacular sensory apparatus when hunting — which would be odd, though they still have sight to reply on — or they have a sonar that can do what human sonar cannot…Perhaps they have something amazing,” he added. Leighton and colleagues Paul White and student Gim Hwa Chua set out to determine what the amazing ability might be. They started by modeling the types of echolocation pulses that dolphins emit. The researchers processed them using nonlinear mathematics instead of the standard way of processing sonar returns. 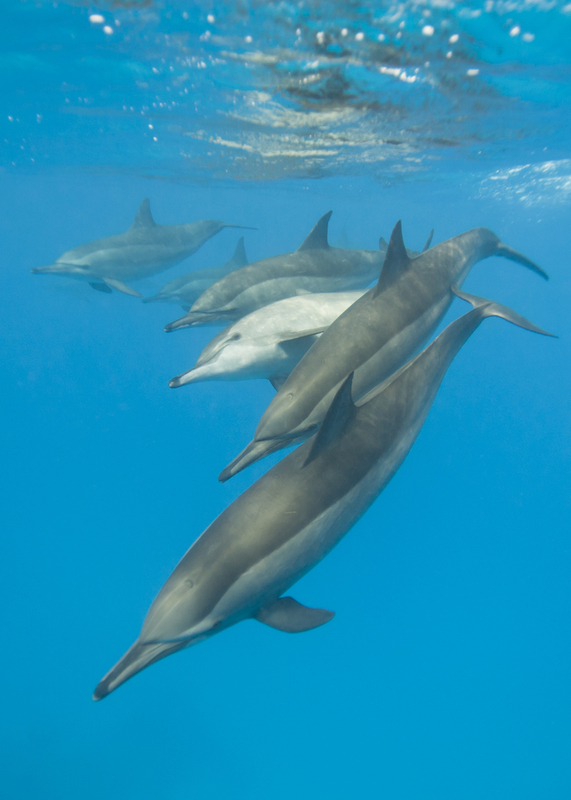 The technique worked, and could explain how dolphins achieve hunting success with bubbles. The math involved is complex. Essentially it relies upon sending out pulses that vary in amplitude. The first may have a value of 1 while the second is 1/3 that amplitude. But that’s not all. There must be a second stage to the hunt. “Bubbles cause false alarms because they scatter strongly and a dolphin cannot afford to waste its energy chasing false alarms while the real fish escape,” Leighton explained. The second stage then involves subtracting the echoes from one another, ensuring the echo of the second pulse is first multiplied by three. The process, in short, therefore first entails making the fish visible to sonar by addition. The fish is then made invisible by subtraction to confirm it is a true target. In order to confirm that dolphins use such nonlinear mathematical processing, some questions must still be answered. For example, for this technique to work, dolphins would have to use a frequency when they enter bubbly water that is sufficiently low, permitting them to hear frequencies that are twice as high in pitch. If replicated, the sonar model may prove to be a huge benefit to humans. It might be able to detect covert circuitry, such as bugging devices hidden in walls, stones or foliage. It could also dramatically improve detection of sea mines. “Currently, the navy uses dolphins or divers feeling with their hands in such difficult conditions as near shore bubbly water, for example in the Gulf,” he said. While dolphins are among the animal kingdom’s most intelligent animals, they are not likely the only math champs. Parrots, chimpanzees and even pigeons have been shown to have an advanced understanding of numerical concepts. The studies together indicate that math ability is inborn in many species, with number sense, mathematical skills and verbal ability perhaps being separate talents in humans that we later learn to combine.